When you and your family are traveling in the summertime make the choice to vacation where you can find lots of interesting things to see and do where you can also enjoy the sun and beach and where your children can have lots of fun. 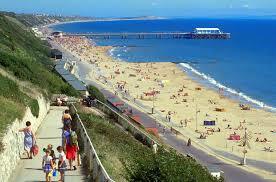 You’ll find the seaside resort of Bournemouth on the south coast of England in the county of Dorset. This lovely resort is very popular with pensioners so there are many residential care homes. Tourists will discover that there are activities to take part in such as water sports and when the sun goes down you can take part in the vibrant nightlife. Travelers will find the Tourist Information Office in an open square simply called the Square. This is the spot in Bournemouth where you can stroll through the main gardens and you can easily find your way to the pier. Going northward from the Square there is the main shopping area that starts with Old Christchurch Road. Overlooking the Square is the cliff top, seafront area known as West Cliff. Farther westward is Westbourne where you will find cafes and boutiques and Lower Parkstone is an area with specialty shops and trendy eateries. If you enjoy art head for Russell-Coates Art Gallery and Museum found on the Eastcliff. Here you can see wonderful collections of 19th century art and Japanese artefacts. The interior of the museum is most lavishly decorated. The author of “Frankenstein” Mary Shelly is buried in the churchyard of St. Peter’s Church along with the heart of her husband the Romantic poet, Percy Bysshe Shelly. Bournemouth Hebrew Congregation built in 1905 has an incredible contemporary Art Nouveau take on the Moorish Revival style. 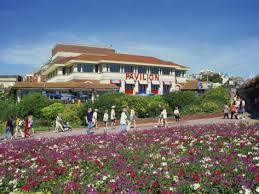 Bournemouth offers their visitors award winning gardens to explore and enjoy. There are 2,000 acres of lovely gardens. Bournemouth Gardens are divided up into three sections – the Lower Gardens which are found adjacent to the sea and they lead you into the Central Garden found in the town center and from there to the Upper Gardens. The Lower Gardens are known for their floral displays all year round bringing together many colors and scents. These gardens also host lots of events and attractions during the summer months like concerts at the Pine Walk Bandstand, the Aviary and the Pinewalk Art Exhibition. Alum Chine offers visitors an award winning tropical garden with path that are bordered by dry stonewalls in order to create a terrace garden that overlooks the bay. People can take a look at many different exotic plants. From Bournemouth Pier you can take the land train to Boscombe Chine Gardens which features a fantastic children’s water play area, mini golf and café. There are the Italinate Gardens nearby with a secret hideaway and a lovely setting right next to the sea. Next to this is the rock garden that was constructed in 1930 and counts as one of the largest Municipal rock gardens in the country. If you love wildlife visit one of Bournemouth’s Local Nature Reserves. Bournemouth International Center is the place in town which hosts conferences and is the largest music venue. Boscombe Surf Reef is Europe’s first artificial surfing reef. For family fun there’s Amusements a large arcade, slot machine and entertainment center. 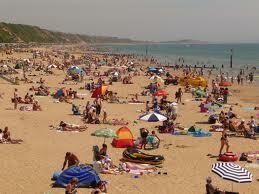 So in the summer time Bournemouth is the choice for fun in the surf and sun. There is lots to do for families and lots of activities to get you out in the great outdoors. It sounds like it would be a great place for singles or families! We are not to far from England living in Latvia and this is one resort I would really like to visit Christy. Can just see me and hubby walking through those gardens and relaxing on the beach. It does look like a big fun place. by Mary Shelly a couple years ago. from the one I grew up with. Cheerz! For world peace in these difficult times.